MyMaths is an interactive online teaching and homework subscription website for schools that builds pupil engagement and consolidates maths knowledge. MyMaths is available 24 hours a day, 7 days a week, to support your child’s learning. Students have been provided with individual usernames and passwords from school. If you have any problems getting started, please contact the class teacher or Ms Clark who will be happy to help. I have been asked why MyMaths doesn't work on iPads and Tabets. The reason being that MyMaths requires the use of "Flash" to work and iPads and some tablets don't have flash built into the devices web browser. Currently there isn't an official App on the App Store, or Google Play store for MyMaths, but there is a work around it you want to give it a go. Please be aware that this work around is quite fiddly, especially on smaller devices like Smartphones. 1. Go to the App store or Google Play Store. 2. Search for "Puffin Academy" and download it. This is a free app! 3. Once downloaded, open the Puffin Academy app. 4. Search for ‘mymaths’ in the search bar, this can be located at the top right hand side of the screen. 5. Select ‘mymaths’. You should then see a screen that contains a description of mymaths. 6. To the right of the mymaths icon you should see the option: ‘go to www.mymaths.co.uk Tap this and mymaths should open inside the Puffin Academy app. Mymaths should then work as it does on aPC. 7. 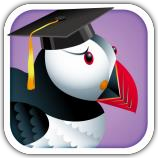 To use mymaths in future, simply load up the Puffin Academy app. If the mymaths login in screen is not displayed, repeat steps 4 – 6. The reason why this will work, is due to Puffin web browser having flash built into it, allowing MyMaths to run correctly.